There was a time, not that long ago, when Porsche executives scoffed at the idea of a hybrid Porsche sports car. Buyers laying down serious money for a 911 or Cayman, they thought, expected a sort of performance that hybrids just couldn't offer. Perhaps that's why up until now Porsche only had a hybrid SUV and a recently added plug-in hybrid four-door sedan, the Panamera e-Hybrid. Those aren't sports cars, though. They're roomy vehicles with plenty of room for batteries and with lower performance expectations. Porsche, part of the Volkswagen Group(VLKAF), now also has the 918 Spyder, a plug-in hybrid with performance that is, unquestionably, in true Porsche sports car character. In fact, it's even faster than the Porsche 911 Turbo S, the top-of-the-line 911. 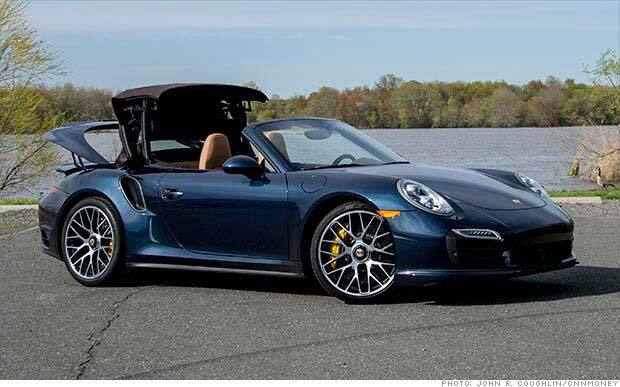 You can enjoy a 918 of your own if you can shell out the price of at least $845,000. Even by Porsche standards, that's a lot of money. But the good news is that a more affordable plug-in hybrid Porsche 911 with the 918's hybrid technology could be on the horizon. Interactive - Porsche 911 Turbo S. Click and drag to move the top. The reason each 918 Spyder costs so much, according to Trent Warnke, electrified cars project manager for Porsche in North America, is that there are only 918 of them. That is all Porsche will ever build of these tech-laden supercars. That means almost all the cost of developing this car's unique technology is being borne by a relative handful of ultra-rich people. But the new technology can -- and in a few cases, already is -- being used in future Porsche products, Warnke said. The two most critical pieces are the car's battery pack and the software that controls how power flows through the car. The 918's battery was developed by Porsche, Samsung(SSNLF) and Bosch specifically for high-performance applications. It's engineered to take in and release energy extremely quickly. 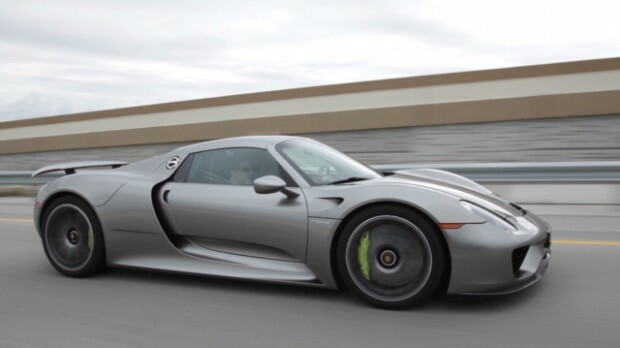 That quick gush of power helps propel the 918 from a dead stop to 60 miles an hour in well under three seconds. It also allows the 918 to soak up a full charge in under two hours and to quickly recharge itself while driving, allowing for burst after burst of speed. That power goes to two electric motors, one for the front wheels and one for back, that operate independently of one another. 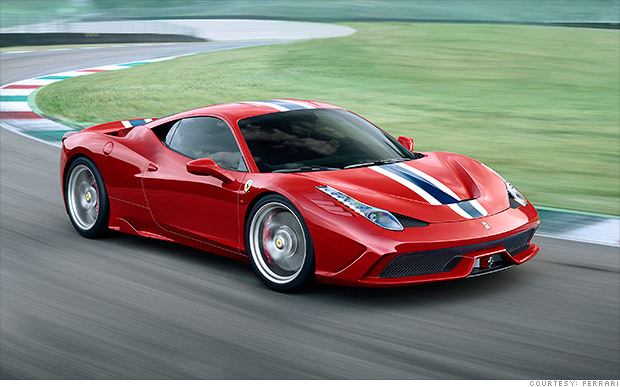 The front motor even has its own two-speed transmission. Keeping the car's three powerplants -- the two electric motors plus a gasoline-powered 608 horsepower V8 -- all working together is complicated business. 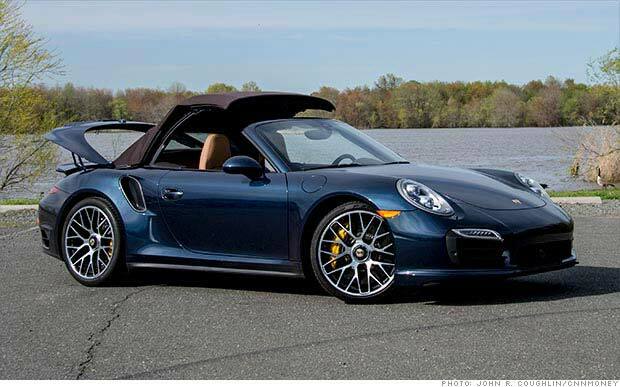 That, plus the 918's extreme performance capabilities, means the 918's computer software is even more complex than in most hybrids. A version of that software, which was largely developed in Porsche's endurance racing cars, is also used in the new Porsche Panemara e-Hybrid plug-in hybrid sedan although in a simpler form. 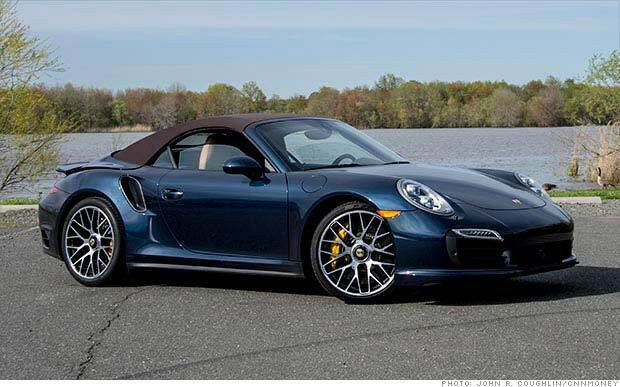 Before that software and those batteries could be used in a future hybrid 911 sports cars the car's body would have to be redesigned. That stuff can't just be shoehorned into the current 911. That means it will have to wait until at least the next generation of the car. Porsche 911 buyers will be looking for performance, first of all, not just fuel savings, Warnke said. So a hybrid 911 would probably be a plug-in hybrid, like the 918, with a small, lightweight battery pack. Like the the 918, a plug-in 911 would probably have a relatively short electric-only driving range with most of the power being used to boost performance. 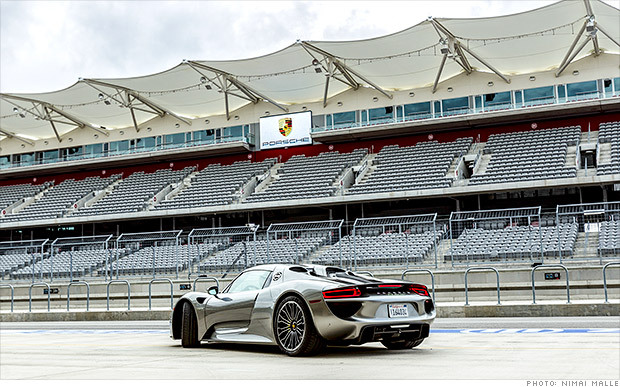 The 918s design advancements aren't just about plug-in driving, though. 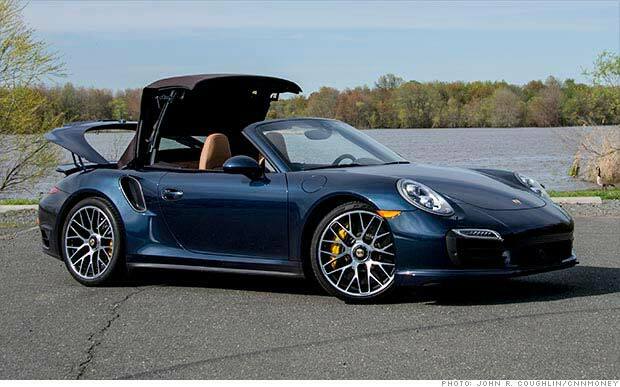 For instance, Warnke said, those who climb into the driver's seat of the Macan, Porsche's new small SUV, will grab hold of a steering wheel originally developed for the 918 Spyder. The 918s carbon fiber seats with built-in airbags and the touch-screen interface between the driver and passenger seats could also be used in other Porsche cars.